They could be drawn to the way she makes boys’ classes a challenge. Before barre, they hit the floor to burn their way through muscle-building push-ups and crunches. During regular barre exercises, Retrum drives home the difficulty of getting ballet right. She makes constant hands-on corrections, so no one gets away with slacking. “I get down on the floor and guide their tendus and dégagés and make them feel it,” she says. Or, it could be the way she lets them soar during center combinations. One day, boys may try the Russian dance from The Nutcracker and the next, a routine from Newsies. “There isn’t a ballet company that does just ballet anymore,” she says, so incorporating jazz and musical theater skills into technique classes isn’t just a good time—it’s essential. And she eases new dancers’ nerves. 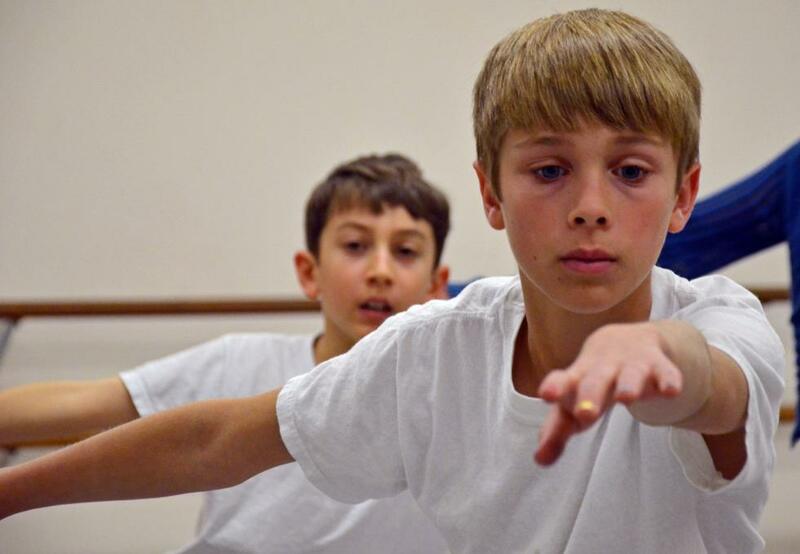 Whether a male begins as a toddler or a teen, she gives him the option to take beginner ballet in a boys-only class before introducing him to coed technique classes. Partnering starts as young as 11, but begins very simply: The boy puts his hands on the girl’s waist and practices tilting her side to side on two feet. Pre-class routine: Retrum keeps it simple, warming herself up with pliés and relevés. To motivate young males: Retrum suggests Center Stage, starring her former student Ethan Stiefel. Outside the studio: Retrum likes to unwind with a round of golf. [Saskatchewan, Canada] – For one Regina family The Nutcracker — the ballet production that is a holiday classic — has become a family affair. Julio, Shaylene, Victor, Lorenzo and Orlando Salazar have roles to play on stage and behind-the-scenes. His parents, Julio and Shaylene, have been involved in the show for several years. Then Victor earned a role in the ballet’s ensemble and — this year — his younger brothers also landed parts. While the Salazar boys and their father have on-stage roles, Shaylene Salazar is part of the production’s behind-the-scenes team. This season’s Nutcracker ballet was presented at the Conexus Arts Centre in Regina. After a serious injury and hiatus, Chase Finlay talks about his determination and perseverance to return to the NYCB. Chase reveals how his family’s strong support and his impressive inroads helped him rise up and become the youngest principal dancer in the company. 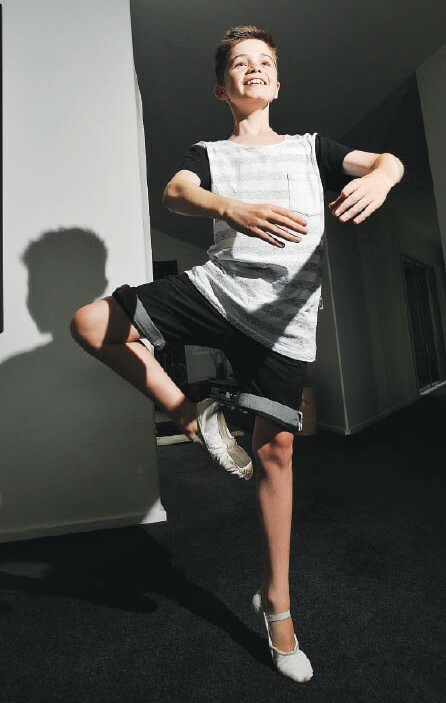 [Gisborne, New Zealand] – Austin Rice could not believe his eyes when he opened a letter last week to find he had gained a place in the country’s most prestigious ballet programme — only the third from Gisborne to do so this century. At 12 years old, Austin had been dancing for only three years this October, when he was selected for the New Zealand School of Dance Junior Associate Programme. Only 60 dancers are a part of the programme at any one time across junior to senior levels. The number granted entry into the programme from annual nationwide auditions varies, depending on the amount of senior dancers graduating. There are rarely more than 10 spots available each year. Gisborne dancers Alana Sargent and Lana Phillips went on to attend the NZ School of Dance after graduating from the associate programme. Sargent now dances for the Sydney Dance Company and Phillips for Footnote New Zealand Dance. 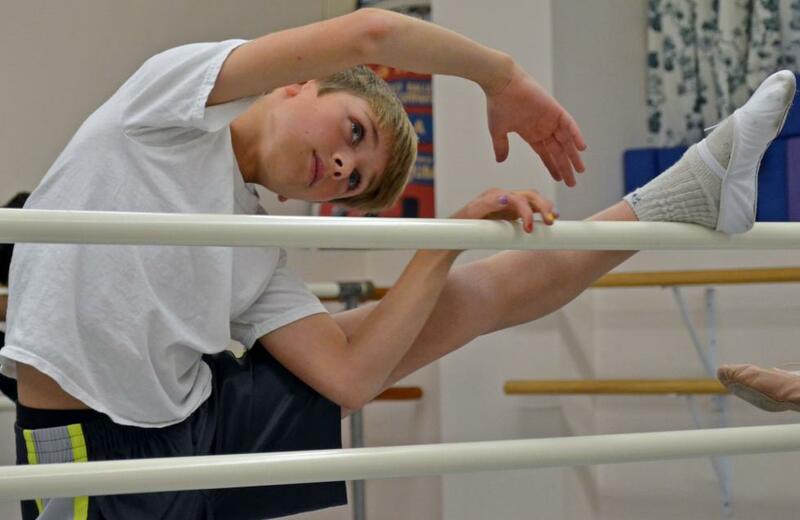 Austin has been dancing ballet for three years with Nadine Proctor at the Nadine Antoinette School of Dance. He was named dancer of the year at the studio’s end-of-year recital yesterday. However, his dancing background has its origins at Dancefit Studios with choreographer Tessa Beattie. “I love hiphop and ballet. I originally started ballet because I was told it would help improve my hiphop dancing and I really did not expect to love it so much. Nadine and Tessa have both helped me a lot and are both really good role models,” says Austin. Ballet and hiphop classes finished last week for the summer break, which has left Austin’s dance-packed schedule suddenly empty. But he will not have long to wait until he is busy again. As part of the associate programme, he will be expected to attend classes with the Royal New Zealand Ballet master classes in Auckland and the NZ School of Dance Winter Dance School next year — as well as classes specifically reserved for the associate programme. The Rices will also journey to Sydney for the new year for Austin to attend a boys’ ballet course.“He is 13 on December 28 and then we leave for Sydney. He is really excited about it, as there are not many male dancers in Gisborne. “We are so proud of him. It really is amazing what he has achieved in such a short time,” says Mrs Rice. The associate programme generally extends until participants graduate from high school and provides advantageous preparation for full-time dance training — as well as experience with the New Zealand School of Dance. Austin will start high school here in Gisborne next year. He “definitely” plans to attend the school of dance in Wellington in the future. [Hampton Roads, Virginia, USA] – Fierce mice battling gingerbread soldiers? A kingdom ruled by a Sugar Plum Fairy? Dancing dolls? Yes, it’s “The Nutcracker,” the famous ballet set to classical music and performed around the world. 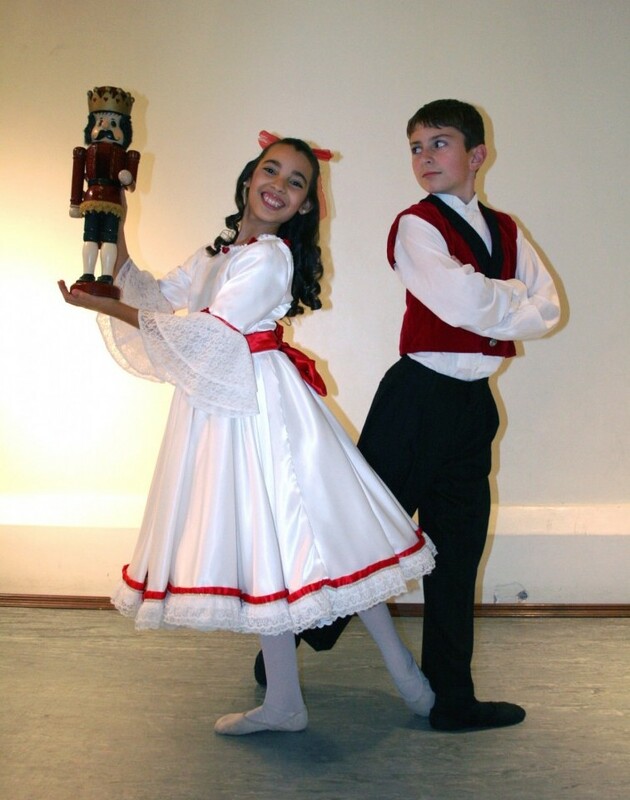 This holiday season, two local classmates will be performing as lead dancers in Ballet Virginia International’s production of the beloved Christmas production. Presented at the Sandler Center for the Performing Arts in Virginia Beach, it will feature Jayla Coco as Clara Stahlbaum and Noah Sych as her brother, Fritz. Both are fifth-graders at E.W. Chittum Elementary School in Western Branch. According to Lisa McCarty, children’s director for the ballet company, “Dancers learn time management.” They have to. Sessions at the studio average four days a week. Sandwiched in between are school, homework “and, hopefully, a little time to be a kid,” Jayla’s mother, Lydia Coco, said. She is glad that her daughter loves ballet, but said even if Jayla chooses not to become a professional dancer, ballet is helpful because it instills discipline. Noah’s parents, Joe and Lisa Sych, make the frequent trips from their Western Branch home to BVI dance studio in Norfolk because their son enjoys it so much. “He has such a passion for it,” Lisa said. “And the arts are important,” Joe added. The children’s fervor for dance may be inherited. Jayla’s two older sisters have also danced the part of Clara. Her mother was once a principal dancer for the Alvin Ailey American Dance Theater. Now she teaches ballet and modern dance to BVI students, including her own three “bunhead” daughters. Even Jayla’s father, Joe Coco, will be dancing in the opening scene of the ballet’s Christmas Eve party. In years past, he and Jayla have had lesser “Nutcracker” parts. The ballet company’s artistic directors, Janina Bove and Susan Lownsbury Long, explained that the pair was chosen for more important roles this year because of their dedication to dance and their excellent acting abilities. [The] two look forward to being in costume, which will make them feel more like their characters. They also are anticipating dancing to the live music of Symphonicity, Virginia Beach’s symphony orchestra, rather than the tapes they use in rehearsal.